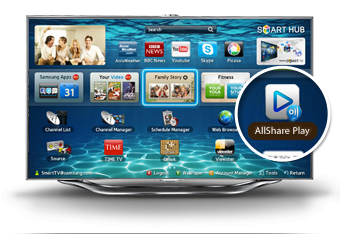 AllShare is Samsung's sharing content experience which enables your PC to run many AllShare services. AllShare can share videos, photos, and music files between your PC and other devices that support the AllShare service by using your local network for streaming playback. You can do this either wirelessly or with a cable. You can freely across many devices that support AllShare services, such as PC, TV, mobile phone, and digital camera. Want to listen to your library of tunes when you’re on the go? Forgot an important document on your home PC? 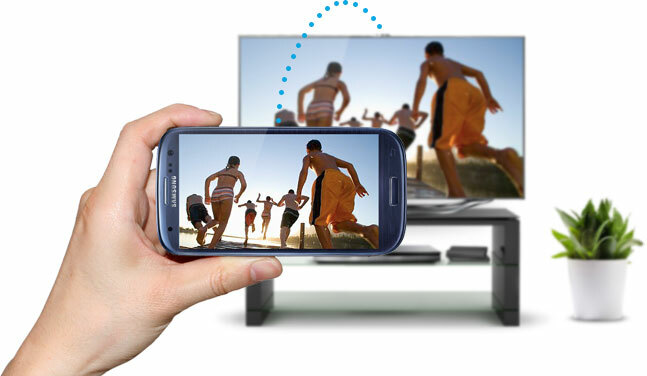 With Remote Device Access, you can use your mobile device to access content remotely from your connected Samsung devices at home. Enjoy your favorite videos, photos, and music wherever life takes you. No need to worry about losing your favorite videos, photos, and music. By storing content on the web, you can keep it protected and access it anytime across all your connected Samsung devices. With Web Storage Access, your content is always safe and always at your fingertips. In order for AllShare Play to work, your devices need to be connected to the Internet, so you’ll need a Wi-Fi connection at home. When you’re on the go, you can use AllShare Play with your mobile device over the web. Keep in mind, wireless data rates may apply.